As a Chattermill user you’ll be familiar with the process of viewing Net Sentiment or NPS whilst applying a grouping, in Metrics. 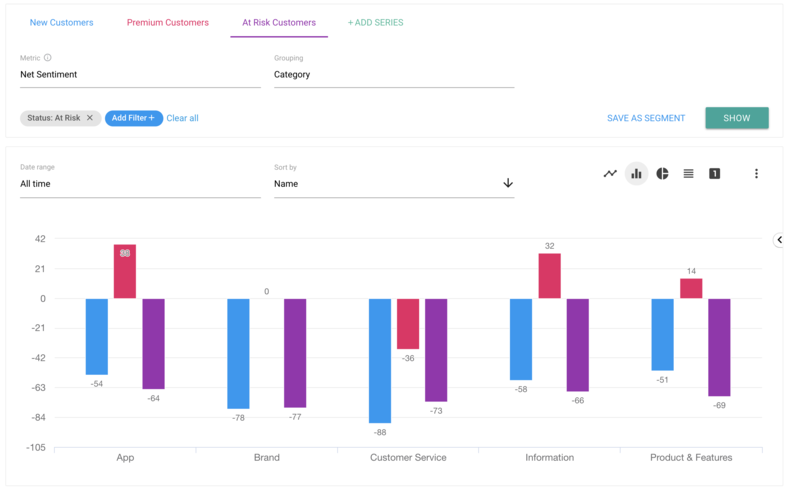 This is a powerful feature of our tool that allows you to discover the key drivers of positive and/or negative sentiment within your customer base. Applying segmentation when viewing charts allows you to drill down on how specific customer groups are responding to your platform/service. 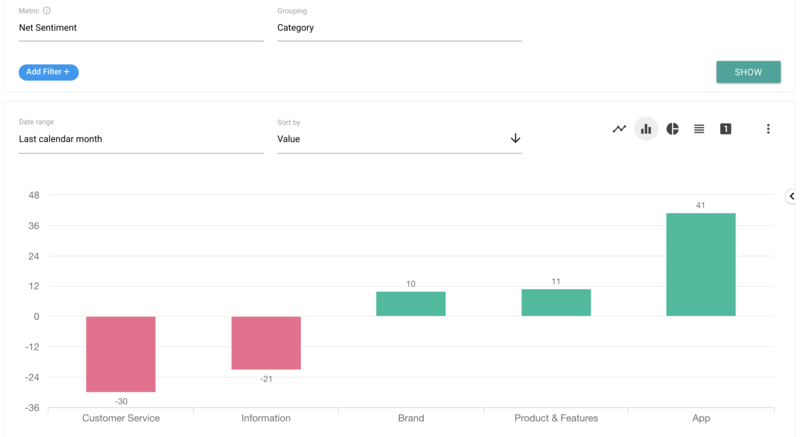 Using the charts below as an example, if this user were to not apply segmentation via our multi-series feature, looking at the key drivers of net sentiment alone then they'd be missing out on some key insight for a portion of their most valued customers.